We’d love your help. Let us know what’s wrong with this preview of Snow White and Zombies by Emily Casey. Terk is a dwarf of few words. He loves his work and his wife, Millie. But when Millie finds the corpse of a beautiful girl in the woods, his life changes. The girl wakes up. And now his wife isn't the sweet dwarf he married. She's one of them. 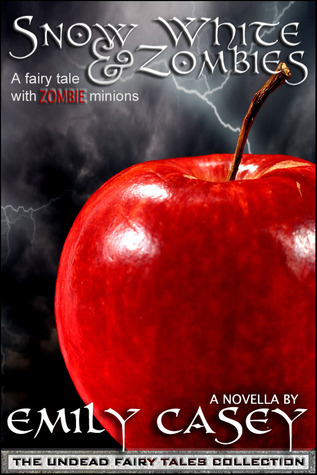 A fairy tale with zombie minions. To ask other readers questions about Snow White and Zombies, please sign up. The author came at the story from a totally unexpected direction! Very enjoyable and easy reading to pass some time or to 'check out' for a couple of hours! I'm looking forward to the next zombie fairy tale! I'm a writer from Tallahassee who chases three crazy kids around the house all day before collapsing in front of my computer. Other little tid-bits: I'm a dog person (I have a German Shepherd named Guybrush), I like to run (most of the time) and majored in Psychology (which explains why I'm a little nuts) with a minor in English (which explains the whole writing thing).